Indigenous leaders and UN Special Rapporteur on the Rights of Indigenous Peoples Ms. Tauli-Corpuz have been put on a terror list, issued by Philippines State Prosecutor, February 21st. “The Philippine governments regularly and increasingly threatens and harasses indigenous peoples. But this is taking it to a whole new level” says IWGIA’s Executive Director, Julie Koch. Several of the organisation’s long-term partners are labelled on the list. The Senior Assistant State Prosecutor Peter L. Ong has named more than 600 individuals as being affiliated with “terrorist and outlawed organizations, associations and/or group of persons” connected to the Communist Party of the Philippines (CPP) and the New People’s Army (NPA). “At IWGIA, we are extremely worried about finding some of our long-term partners on the list, without having given them a possibility to deny the accusations. We fear for their personal safety” explains Julie Koch. Also, UN’s Special Rapporteur on Rights of Indigenous Peoples Ms. Victoria Tauli-Corpuz has been identified on the list. Immediately after she issued a statement denying all accusations of being connected to the Communist Party or the New People’s Army. These accusations are coming at a crucial time when as a part of her mandate, the UN Special Rapporteur is collecting inputs and cases for a report dealing specifically with criminalisation and attacks against indigenous peoples defending their rights. 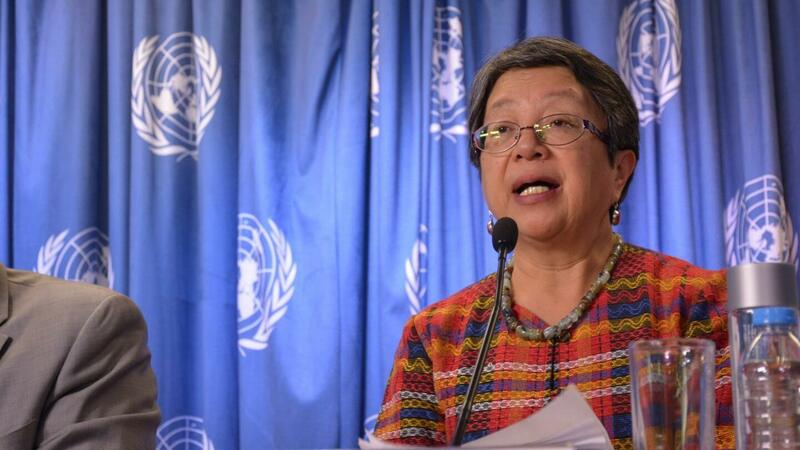 The Office of the United Nations High Commissioner for Human Rights (OHCHR) also issued a statement, claiming that the listing of Ms. Tauli Corpuz is retaliation after she recently drew attention to the attack and killings of indigenous Lumad people in the Philippines. “We are shocked that the Special Rapporteur is being targeted because of her work defending the rights of indigenous peoples,” said Michel Forst, the Special Rapporteur on the situation of human rights defenders, and Catalina Devandas Aguilar, Chairperson of the Coordination Committee of the Special Procedures in a statement published on OHCHR’s web page. The publication of this list is the most recent move by the government in a long conflict between defenders of indigenous peoples’ rights and the Duterte administration. According to IWGIA’s partner CPA, an umbrella organisation of more than 120 local community organisations, at least two indigenous peoples are extrajudicially killed every month and indigenous people are regularly arrested and evicted from their land. This “terrorist tag” further worsens the fragile state of indigenous peoples’ human rights in the country. Under Rodrigo Duterte’s administration, Philippine indigenous peoples organizations have also recorded at least 62 illegal arrests, 21 political prisoners, 20 incidents of forced evacuation affecting 21,966 indigenous peoples and more than a hundred people facing trumped-up charges and forcible closure of 34 Lumad schools from July 2016 to December 2017.